Seven days of Greytown probably suffices, but it wouldn’t do to leave Solon Borland without a chance to defend himself. However disagreeable a personality he had, and apparently he ended up in Central America in part because Arkansas had enough of him, he deserves a chance to have his side heard. Borland declined to give his own version of events, instead attaching two newspaper accounts. Greeley elected not to print those, s0 to recap: Solon Borland of Arkansas, lately American Minister to Central America interfered in the arrest, by the authorities at the free port of Greytown, of a captain of the Accessory Transit Company who had killed a black pilot . His involvement included his brief arrest and his brandishing a pistol at the local constabulary. When Borland took it on himself to lecture the Greytowners about how they should not arrest murderers in the future, one threw a broken bottle and hit him on the head. I deem it proper to remark, that although I was personally cognizant of the conduct of Capt. 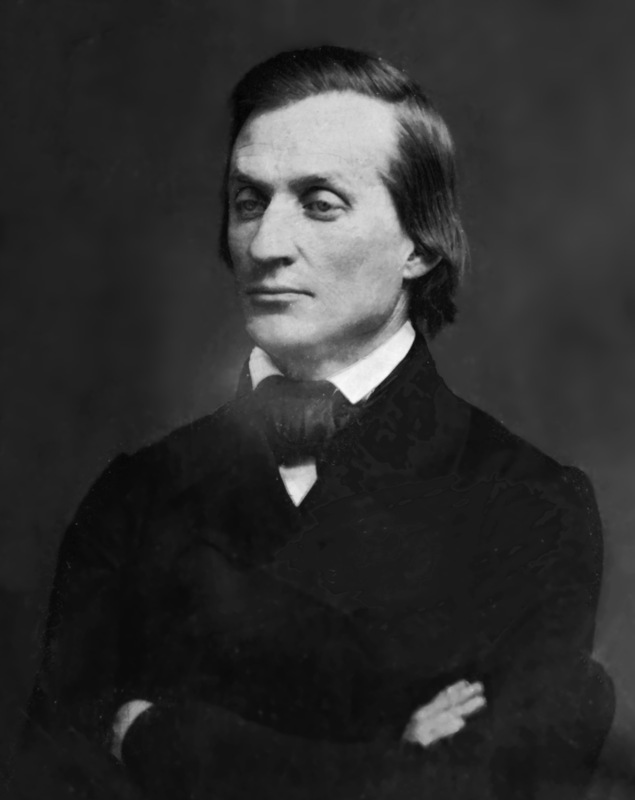 Smith, for which he was charged with murder, and sought to be arrested by the so called authorities of San Juan or Greytown, and was (as I now am) clearly and decidedly of the opinion that he was justifiable in all he did, the question of his guilt or innocence did not enter into the consideration for which I interposed to protect him. He was a citizen of the United Sates, and the persons who sought to arrest, and claimed the right to punish him, were not recognized by the United States as a Government possessed of the right or invested with the power, to exercise jurisdiction over any portion of Central America, or to determine any question involving the persons or property of our citizens. So Borland knew that he stepped in to stop a man accused of murder from facing arrest. He thought the man innocent, but didn’t actually care either way at the time. American citizens, to hear Borland tell it, have every right to expect consular protection when they do murder abroad. Furthermore, the United States did not recognize the authority of the men seizing Smith. But what if they did, in fact, act as a government? even supposing the so called authorities of San Juan or Greytown to be a government invested with the rights and powers I have denied over the territory embraced within their town limits, they certainly had no jurisdiction over that portion of the territory upon which the obnoxious act of Captain Smith had been done; as that was, although on the north bank, and yet some ten or twelve miles above the mouth of the San Juan River: so of the place where his arrest was attempted, Punta Arenas, on the south bank of the San Juan River, and the opposite side of the bay from San Juan or Greytown. If Greytown had a legitimate government, that government’s reach simply did not extend to the area in question. 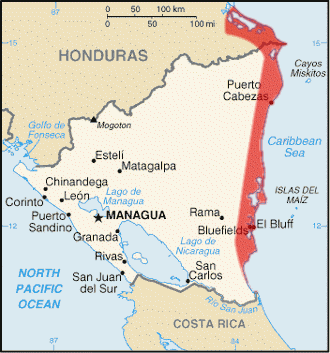 If anything, the land in question belonged to Nicaragua. Borland skipped over the part about how Greytown viewed Punta Arenas as within its jurisdiction and had an ongoing dispute with the Accessory Transit Company over that fact. One might forgive him for letting the technicalities slide, but in the same breath as he points out that Greytown’s power did not legally reach to Punta Arenas he declares that Nicaragua and Costa Rica then had a separate dispute over just that land. no legal process, civil or criminal, could rightfully be executed there, unless by authority of one or the other of those powers. Neither country had effective power on the ground in the area and Borland denied the right of the authority that actually did have power on the ground to use it. No wonder he didn’t worry about whether or not Smith really murdered anybody. I must begin with a correction: I have in the past referred to the USS Cyane steaming here and there. She had only sails for propulsion. Sorry about that. The wider implications of destroying Greytown, a free port within an at least notional British protectorate that already caused tension between the United States and United Kingdom over their differing reads of the Clayton-Bulwer Treaty hardly went unnoticed in Washington. Nor did the British connection go unnoticed in Greytown at the time. George N. Hollins notified the commander of a British ship in the harbor of his intentions. Greytown had offended against American property, persons, and one obnoxious American diplomat. As Greytown would give no satisfaction for the offenses, either to the Accessory Transit Company or to Solon Borland, the United States Navy would extract its satisfaction by force. I consider it my duty to enter my most solemn protest against the course you then intimated to me that you intend to pursue towards the city of Greytown. The inhabitants of this city, as well as the houses and property, are entirely defenseless and quite at your mercy. I do therefore notify you that such an act will be without precedent among civilized nations; and I bet to call your attention to the fact that a large amount of property of British subjects, as well as others, which it is my duty to protect, will be destroyed; but the force under my command is so totally inadequate for this protection against the Cyane, I can only enter this my protest. Pretty cheeky of the Americans to answer offenses against American property in Greytown by destroying British property in Greytown, but Hollins did it. 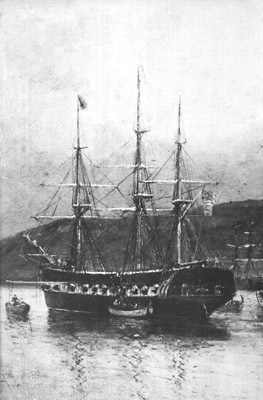 In an odd bit of nineteenth century courtesy, Hollins offered his regrets to Jolley that the Bermuda lacked the firepower to challenge the Cyane’s twenty-four guns. Jolley does not reference Britain’s protectorate over the Mosquito Coast in his protest, but he hardly needed to. Regardless of the region and the port’s anomalous status, Hollins acted intentionally to destroy British property on the most dubious of grounds. Even if Hollins saw this as an isolated event, the rest of the world need not agree with him. With elements of the Democracy at home arguing that the nation should repudiate Clayton-Bulwer Treaty, his act at the order of a Democratic administration could look very easily like a power play. Solon Borland’s involvement as a partisan for just that cause could only make that impression harder to resist. Meanwhile, the Accessory Transit Company got everything it wanted. The removal of Greytown meant the end of any dispute with its authorities. As an organization on the ground handy for any rebuilding, the company could very easily improve its standing and resolve its property disputes in its favor. Picking the quarrel worked famously for the commercial interests, even if it made the Americans in general look like irresponsible, wrathful maniacs. Writing a series titled The Bombardment of Greytown might inspire one to think a description of the event itself in order. 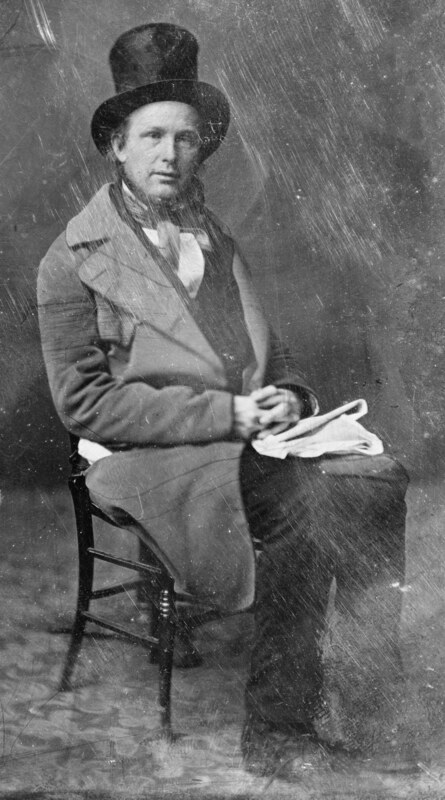 Hollins provided just that in his report to the Secretary of the Navy, James Cochran Dobbins, which Horace Greeley kindly reprinted on August 2, 1854.
hoped the show of determination on the part of the ship would, at this stage of the proceedings, have brought about a satisfactory adjustment of the differences in question, but a total disregard and contempt toward the Government of the United States determined me to execute my threat to the letter. At 9 A.M., on the morning of the 13th inst., our batteries were opened on the town, with shot and shells, for three quarters of an hour, followed by an intermission of the same time, when they were opened again for half an hour, followed by a second intermission of three hours, at the expiration of this interval the firing was recommenced and continued for 20 minutes, when the bombardment ceased. The object of those several intervals in the bombardment, was that an opportunity to treat and satisfactorily arrange matters might be furnished the inhabitants of the town. No advantage was taken of the consideration shown them, and at 4 o’ clock, P.M., a command under Lieuts Pickering and Fauntleroy was sent on shore with orders to complete the destruction of the town by fire. The town was thus destroyed for the greater part in the short pace of two hours. No lives were lost, although an attack was made by an armed party on the command of Lieutenants Pickering and Fauntleroy, but on the volley being returned the attacking party fled. The shots were returned more for the purpose of frightening than destroying life, and had the desired effect. The execution done by our shot and shells amounted to the almost total destruction of the buildings, but it was thought best to make the punishment of such a character as to inculcate a lesson never to be forgotten by those who have for so long a time set at defiance all warnings, and satisfy the whole world that the United States had the power and determination to enforce that reparation and respect due them as a Government, in whatever quarter the outrages may be committed. Hollins’ account hints at the wider implications of the bombardment. Completely aside any injury to the Accessory Transit Company or to Solon Borland, Greytown sat at the far southern end of the United Kingdom’s Mosquito Coast protectorate. The United States saw British involvement there as contrary to the Clayton-Bulwer Treaty. That context surely occurred to Marcy back in Washington when he sent instructions, but nothing in his letters to Fabens suggests that either Fabens or Hollins should use the Greytown affair to advance the American interpretation of the treaty. 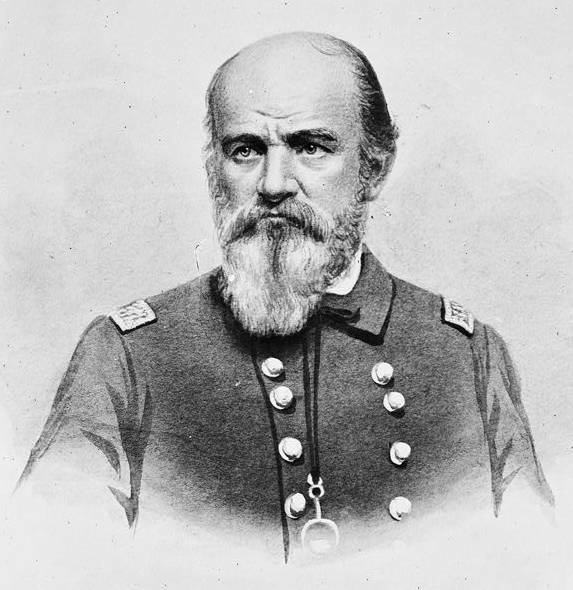 Intended or not, and to the shock and embarrassment of the government back in Washington, George N. Hollins took it on himself to lay down a marker at Greytown.